Fitness, it tends to be a love hate relationship for most. I feel like the majority of people fall into two categories, you are either really good at it or you are really bad at it. Something I hear a lot of(from mostly myself) are very good excuses why exercise isn’t a regular part of people’s routines. My whole life I have been able to come up with some reason or another as to why I am not exercise regularly. For the past almost 7 years, that excuse has always been “I have kids”. I look around and talk with others and it seems its a common excuse among so many of us parents. Why do we think that having a kid excuses us from exercise? Yes, we are tired. Yes, we are busy, and yes, it is hard to take them with you to the gym(AKA hard to stomach making a monthly payment for a gym membership that you never use because “you have kids”). Yes to so many of these excuses, but it has never been more important than now that you exercise on a regular basis. You have little children to teach healthy habits and they learn best by following your example! I have come up with some fun ways to not only get your exercise, but ways to include the family to make exercise a healthy habit for your whole family! Walk. Walking is such a simple yet effective form of exercise and kids love it too! You can even make a ritual out of a pre or post dinner walk. Ride bikes. Find a nice paved trail and get the kids out with you. It’s great bonding time and you can really get some great fitness in. Bonus is that it is easy on the knees! Swimming. If its warm enough outside or if you have access to an indoor pool, swimming is such a great family activity! Kids play big time in the pool and just trying to keep up with their energy will have your heart rate on the rise in no time. Don’t be afraid to play along with them. You will be surprised how much of a workout this can be! Watch TV. Wait a minute... WHAT? Yes. I said watch TV. (I know, I know...you’re thinking, this lady is crazy!) Who said you can’t turn watching TV into an exercise?? I say let’s do it! If you’re like our family and love a good Family Movie Night, consider making an exercise game out of it! Set an alarm for every 15-20 minutes throughout the movie. When the alarm goes off, press pause and everyone does a round of predetermined exercises. When everyone is finished, reset your timer, press play and get ready to go again! Fitness Classes. Take a fitness class together. There are lots of different kinds of classes. Yoga, Aerobics, and, Zumba just to name a few. Even in classes full of adults, I’ve seen people bring their kids to participate and they love it!! Try finding a class that is fun for everyone and try it out! Dance Party. I love the options that suggest you don’t even need to leave the comfort of your own home! Wear whatever you want, crank some of your favorite tunes, set a 30 minute timer, and everyone DANCE! The kids will love seeing that fun side of you and you will get some great exercise in burning lots of calories, not to mention all the stress relief from dancing! Game night. We absolutely love games at our house, so this idea really appeals to me! Make an obstacle course for the whole family to tackle. You could also make some cards with family friendly exercises on them and everyone draws and does an exercise until all the cards are completed! There are tons of great ideas on how to get your family active but the best idea of all is to lead by example! Your kids want to be just like you so give them healthy habits to copy. Take the stair instead of the elevator whenever you get a chance. Help plan regular exercise times with your family and participate. Since we're on the topic of healthy habits, let them help meal plan and meal prep! They get so much more excited about eating healthy foods when they are able to choose and prepare them. I'd love to hear how you stay active and healthy with your family! Leave a comment with your favorite family fitness activity! As a parent, taking your toddler anywhere in public can sometimes be a challenge. You are always hoping they’ll be on their best behavior, but you never know what will affect their mood on a minute by minute basis. This unpredictable nature sometimes causes worry or panic for parents who are paying for a session with their toddler and unsure of how it will turn out. Afraid that their toddler may not sit and smile at the camera exactly the way they have envisioned it in their minds. We have good news for you though, THAT’S OKAY! Toddlers are so fun and so full of personality. They are at a magical age where they are discovering so many new things in the world around them and also discovering how they can assert their independence. We want our parents to feel relaxed and comfortable in their session knowing that these toddler moments of curiosity and exploration are ways that their personalities come out and shine in the photos. When you’re looking ahead at planning for your family session or your child’s portrait session, here is a guide to help you plan for the session and how to assist in making it relaxed and fun for you and your child! Go with the flow. 100% of our portrait sessions never go as planned, so don't worry. Your family is perfect, just as you are. We will strive to get the essence of your family as a unit, your children's personalities, as well as sneaking mom and dad for a few minutes to get some portraits of just the two of you. Let us know some of their main interests. If they have any special interests, toys, or movie character's that they love, let us know. It helps us connect with them on their level. Allowing us to converse with them about their interests can help them to open up and feel more comfortable with us. You don’t have to be the bad guy. On a shoot, we know you want your kids to be on their best behavior (and we do too), but allow your kids to be themselves. Although you may feel like they are showing off, we need their energy to show their best personality. We will also work really hard to get that nice smile of theirs. Stay relaxed. When you are stressed and tense, it tends to trickle down to the children making them feel tense or nervous. Try to relax and feel at ease knowing that we are here to help guide you and your kids through the session. We will interact with your kids to help them feel comfortable and guide them as well as letting them guide us in helping us capture some truly special images. When they are allowed to have fun on your portrait session, everyone looks more natural and relaxed. Make sure they get plenty of rest. Good rest the night before and if its an afternoon session, a nap, can make all the difference. You should feel comfortable to discuss the best time for the session with your photographer ahead of time, using your child's natural happiest time of the day as a guide to selecting the time for your session. Come fed. It can be hard to focus and participate cheerfully when your stomach is growling, so a small healthy snack right before hand is always helpful too. Be weary of sugary snacks beforehand, as each child’s sensitivity to sugar varies and could put them in a sugar rush. Be sure avoid colorful lollipops and candies 24 hours before session. Some of them stain their mouths and can linger for a day or two. Also, feel free to bring snacks to give in between shots as incentive. Snacks like raisins and cereal are good options because they are small and are not messy. Bring an activity to do together. Do they have a favorite book or game they love to play? Bring it! Do you guys enjoy playing a family game of football or soccer on the weekends? Bring it! This can help make them feel comfortable and can assist in creating some great authentic photos of you guys together enjoying something you love. Finally, just HAVE FUN! Let go and allow yourself to relax, go with the flow, and enjoy this time with your family. It will allow us to capture the pure emotion and organic love between all of you. We're here to help you stay relaxed and have fun while capturing images that you'll love! Book your session now! Click here to schedule your Fall Family Portraits today! One big question on everyone’s minds when they schedule their family session, “What do we wear?”. When you are trying to coordinate outfits for the whole family that will photograph well, it can be overwhelming when you do not know where to begin. All white shirts and khakis, while simple and easy, are a thing of the past. These days are all about individualization, expressing yourself, and creating your own style. We’ve put together a list that we hope will help guide you and ease your mind as you choose how to express your family’s style! 1. Coordinate colors, don’t match. Coordinating colors can really bring the whole thing together. Choose 2 or 3 main colors, then base everyone's outfits off of those colors. This will keep everyone from looking identical and give each family member a chance to express themselves through their own style within the color guidelines. 2. Look at your home decor. These images are the ones that are going to end up on your walls in your home. When you decorate your walls, you first assess the color scheme you’ve selected for each specific room and then you choose the items to put in the room based on that color scheme. This is something to consider when you are choosing your main wardrobe colors for your family session. This will make the images work seamlessly when you add them to your home! 3. Limit patterns. 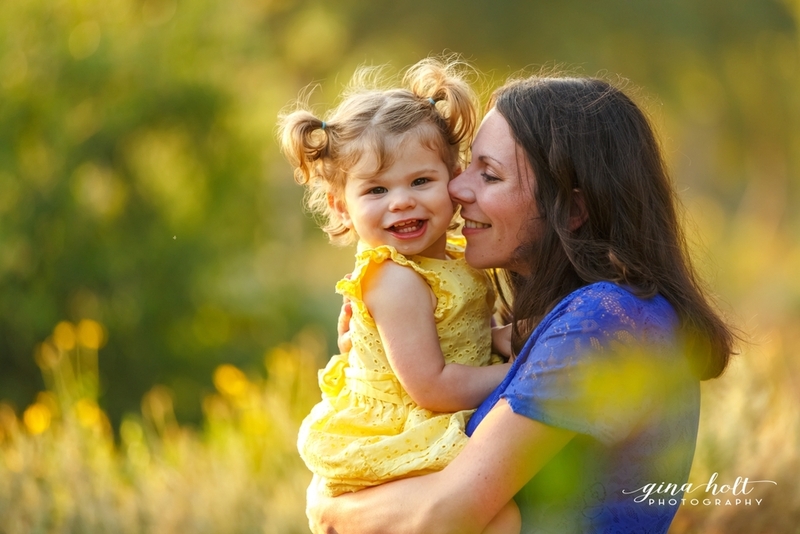 Patterns are fun and they can be a great addition to your wardrobe for a family session. Although, keep in mind to not use too many patterns. It can overwhelm the pictures and distract from the focus of the images, your family. 4. Look for clothing collections. Many stores have clothing collections that are based on a main color theme. If you plan on purchasing new clothing items for the occasion, these collections are a great way to coordinate everyone's outfits with a common color theme with out all the stress of gathering each item separately. 5. Textures are fun! If you have a great outfit put together with solid colors, try adding a belt or scarf. A stylish blazer or jacket could add a nice touch as well. 6. Don’t forget about location. Think about where your session will be when choosing your wardrobe. For example, if you will be taking pictures in a lush woodland area, you would not want to make green a part of your color scheme. You want to stand out in your images, not blend in. 7. Make it classic. You will display these images for years to come. You can never go wrong choosing simple classic clothes. They will look good today, and they will look good in 10 years. 8. Keep weather in mind. If you live anywhere in the Midwest, you know it can go from a hot day, to cold and breezy in less than 30 minutes. Be prepared with coordinating sweaters or tights to help keep everyone comfortable during the session. If you’re really uncomfortable, it can show through in the images. 9. Start with one outfit that you know you love, and base the rest of your family’s outfits off of that example. Sometimes you just need a starting point to get the ball rolling, and this is a great way to do just that. 10. Maxi dresses are a winner! Maxi dresses are flattering for all shapes and sizes. They can be perfect for a casual session accessorized with a belt or a fitted jean jacket, or you can dress it up with a nice blazer or a statement necklace. Come hang out with us! Book a session now with the form right below!